Locals were devastated when Tropical Storm Irene submerged much of Waterbury's downtown in August 2011. The area took years to recover — local state offices didn't reopen until December 2015 — and many businesses never rebuilt. One of the more crushing casualties was the Alchemist brewpub on Main Street. The Alchemist continued brewing after the flood — its cans of Heady Topper are among Vermont's most coveted beers — but folks mourned the demise of their beloved tasty gathering place. Whatever moved into 23 Main would have a hard act to follow. But when Prohibition Pig opened in early 2012, the new restaurant drew lines around the block as valley residents clamored for a taste of chef Michael Werneke's Yankee-southern fare. His menu is grounded in local livestock, smoked low and slow in-house. 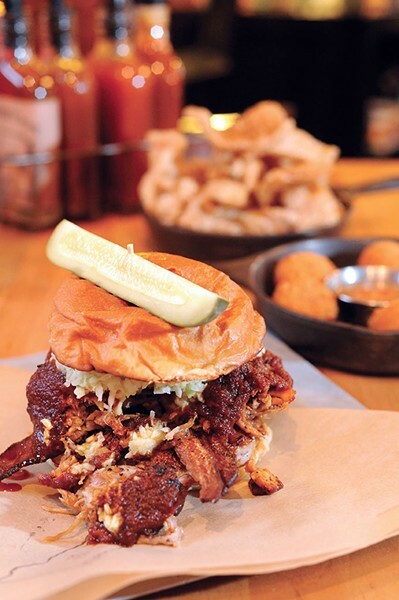 Sandwiches come heaped with chopped smoked pork and Carolina slaw, or tender brisket and onion rings. Juicy grass-fed burgers can be topped with pimiento cheese, fried green tomatoes, house-pickled veggies or sriracha aioli. Buns arrive crowned with a jaunty pickle and sided with crisp shoestring or duck-fat fries. Most of the meats are also available as supper plates, served with fried hush puppies and two of the 10 sides on offer — think creamy cheddar grits, blackened green beans and potato salad. The Pig's atmospheric bar is popular for modern spins on classics such as the negroni, the daiquiri and the old fashioned. Twenty-two draft brews represent Vermont's best breweries, including Hill Farmstead, Lawson's Finest Liquids and Fiddlehead. House beers compose up to half of the list — brewer Nate Johnson's Bantam double and multigrain IPAs are reliable hoppy favorites. 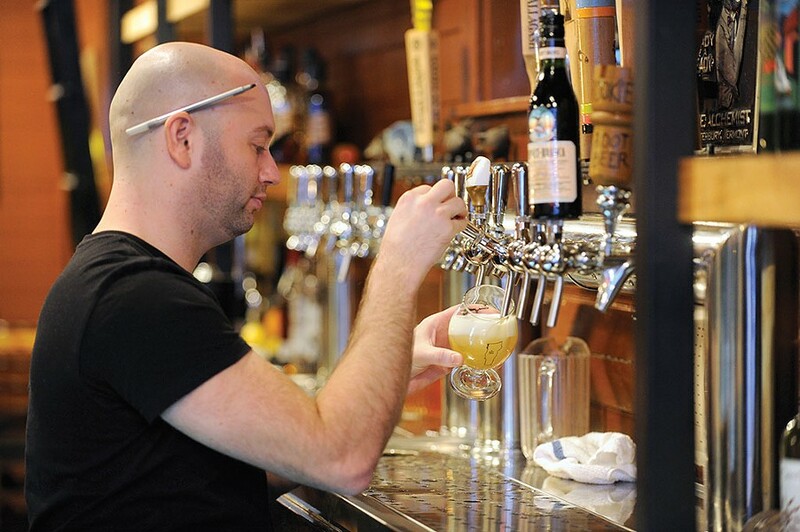 For more where that came from, head to the brewery, located directly behind the restaurant on Elm Street. Fans of darker beers shouldn't miss the porter or Downtown Piggy Brown. Drinking with lunch or dinner? The small menu of Latin American delights ranges from parchment-thin tortilla chips with just-smashed guacamole to bowls of pozole swimming with chewy boiled corn, smoked pork, avocado and cilantro. Tacos cradle smoked chicken, pork or beef along with fresh cheeses, veggies and salsas. Both the restaurant and brewery proudly fulfill the promise of their sidewalk signage: "Meat Here." Once again, Waterbury's community has an excellent excuse to pig out together.